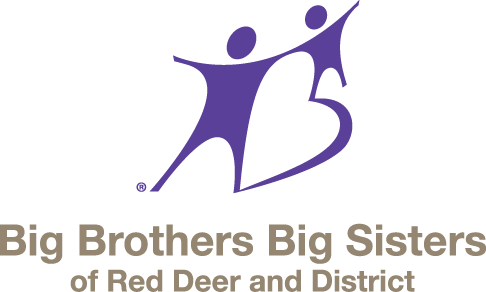 The Big Brothers Big Sisters Mentoring program provides children and youth with a role model and a friend to talk to and share the experiences of growing up with. Through regular outings, a relationship is developed between the mentor and the mentee that is built on trust and common interests, and is supported by our experienced case-workers. The result is a life-changing experience for both the mentor and the mentee. The Big Brothers Big Sisters Community – Based Mentoring program requires a minimum of two regularly scheduled outings a month of several hours each and a minimum of 1 year commitment. For over 100 years, Big Brothers Big Sisters has been making a meaningful difference in the lives of children though our organizations well known and highly respected Community-Based Mentoring program. Serving as role models, Big Brothers and Big Sisters lead by example the importance of giving and giving back, of staying in school, and having respect for family, peers, and community. A mentor who encourages smart daily behaviors – finishing homework, having healthy social interactions, and saying no when it counts – has a noticeable influence on a young person’s growth and success. Young adults who had mentors as kids are paying it forward, they are 50% more likely to volunteer regularly in their communities and 13% more likely to donate to charity. Big Brothers Big Sisters has mentors and mentees of all walks of life and experience which benefits youth that are going through diverse life events. Youth in the program are from age 5- 17 who are invested in the benefits of mentoring. Mentoring relationships are created based on the youth’s personality and characteristics as well as the mentors mentoring style. The mentoring match is created once all parties have met and feel the mentoring relationship will help move the mentee towards their goals. Mentors must successfully complete each phase of the Agency’s enrollment process and participate in Pre-Match Training. The mentors are a friend to their mentee, and maintain contact on a regular and consistent basis. Being a positive role model, emphasizing behaviour such as trust, respect, reliability, honesty, fairness, commitment, resilience, and kindness to their mentee will help instil healthy child/youth development. This program is either 1:1 relationships or we also accept Couples Matches. A Couples Match provides a unique opportunity to work together mentoring one child. They still meet for a few hours, a couple times a month and participate in activities, however the Couple Match provides greater flexibility. If one partner is particularly busy one week, then the other can spend time with their mentee. The ‘Little’ benefits not only from adding two new caring people into his life, but also gets to see first-hand how two adults interact in a healthy, loving relationship. A Couples Match is a wonderful option for any couple. Witnessing the transformation of a child into a confident, concerned, and motivated young person is a remarkable thing. Ushering them into adulthood, seeing them grow into a successful, responsible member of their community and society at large can be even more satisfying.